GOOD NEWS IN THE BEBOP BUSINESS: In the calendar year 2009, there have been notable highlights in jazz passing through Santa Barbara, starting with a grand modernized historical encounter with the Blue Note 7 and visits from Sonny Rollins, Wynton Marsalis’s Jazz at Lincoln Center Orchestra, and Dave Brubeck. On the whole, however, it has also been a frustratingly lean jazz year, compounded by the delayed arrival of the Jazz at the Lobero series. Many of the area’s jazz fans were stunned to find a jazz-less autumn in the uniquely jazz-friendly Lobero. Some columnists (ahem) even erroneously exaggerated the series’ demise (one correction I was thrilled to make). Have no fear-arrive that series has, and grandly. The series’ recent unveiling is enough to bring blood back to the cheeks and forestall premature inklings of utter doom in the jazz world. We ain’t dead yet. 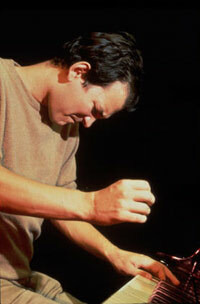 It starts boldly on January 22 with Brad Mehldau-the greatest pianist of his generation-in a rare solo setting. Mid-career heavyweights, familiar to local stages, include trumpeter Terence Blanchard (Apr. 10) and bass/bandleader/project-maker Christian McBride, with Inside Straight (May 8). Upper-echelon female singers are in the mix: Tierney Sutton makes a return engagement to the room she has had the habit of entrancing (Feb. 19), and Dee Dee Bridgewater returns, with her Billie Holiday tribute in tow (Mar. 20). (Santa Barbara jazz historians likely recall Bridgewater’s memorable gig in the tiny and super-hip Jazz Hall in the late ’90s.) Also in the mix is A Tribute to Bob Florence (Feb. 21), a nod to the famed Los Angeles-based big-band leader. NOT-SO-GOOD NEWS IN THE BEBOP, ETC. : Meanwhile, on the bad news front, the Solvang Jazz Festival looks to be a thing of the past. Intrepid festival founder Stix Hooper has pulled the plug, after three years of resourceful but unprofitable venturing into the innately challenging culture of jazz festival promotion. Although I missed this September’s big event at the Solvang Festival Theater, a Freddie Hubbard tribute featuring Take 6, I caught gifted pianist Eugene Maslov’s group at Hotel Corque. The sparsely attended but musically very engaging show featured a pair of old Hooper friends and colleagues-drummer Harvey Mason and flutist Hubert Laws. Laws also appeared at the all-star concert in festival year #1, alongside Freddie Hubbard (in one of his last public performances), Airto Moreira, Patrice Rushen, and others. Other fond memories include the 2007 show by rising piano star Taylor Eigsti and the 2008 evening with pianist Monty Alexander and organist Dr. Lonnie Smith at the Solvang Memorial Hall (a wonderful space for music and gathering, which feels more European-read Danish-than Americana-American). Sure was nice while it lasted. Hooper is to be commended for braving the effort and enlivening the cultural landscape hereabouts. FRINGE PRODUCT GIFT IDEA: Often, the “pop-jazz” qualifier serves as a shorthand indicator of diluted musical content and crass bids for bucks. But there remain a handful of well-intentioned, uncommonly inspired musicians who give pop-flavored jazz a good name. The elite corps includes Jim Beard, a technically empowered, versatile, and ever-tasty keyboardist to the fusion stars (John McLaughlin, Mike Stern, Pat Metheny, etc.) and arranger/composer whose own fascinating and witty solo albums have been weirdly overlooked (too clever for the “smooth” world, too playful for the “real” crowd, perhaps?). Beard’s dazzling new Revolutions (Sunnyside), a big-band project with arranger Vince Mendoza and the Metropole Orchestra, serves as both a retrospective overview of his work and something brand new and expansively impressive on its own terms. Try to repress a sly grin when listening to “Holiday for Pete & Gladys” or “Lost at the Carnival,” or quell cerebral admiration for the cool emotional luster of “Diana” and “Parsley Trees.” Beard busts out into the swinging open, dispensing with pop, on “Trip,” a cool contemporary big-band chart by any measure. Revolutions is one of the year’s prize jazz recordings, however you work the math of stylistic hyphenates.